A knee or hip joint replacement may provide a surprising benefit: better heart health. In a study of 2,200 people older than 55 with arthritis, researchers found that the odds of a serious heart problem or death were 37 percent lower in people who had a knee or hip replacement compared to those who didn't have such surgery. "Arthritis is associated with an increased risk of cardiovascular disease and cardiovascular death. It is possible that arthroplasty can reduce these risks," said lead study author Dr. Bheeshma Ravi, a physician in the division of orthopedic surgery at the University of Toronto. Total joint arthroplasty is the medical name of the surgery to replace a hip or knee joint. Patients in the study had osteoarthritis, the type of arthritis associated with normal wear and tear on the joints. While the study found a link between having joint replacement surgery in people with arthritis and reduced risk of heart events, it did not prove a cause-and-effect relationship. "Our finding is new and it is provocative. It needs to be borne out in other studies," Ravi said. He explained that people who have moderate to severe arthritis often have other conditions, such as high blood pressure and type 2 diabetes, which are often related to physical inactivity. "When you look at the activity levels recommended by the American Heart Association and other guidelines, it's not a lot of activity -- about 30 minutes a day -- but a lot of people can't do this with arthritis," Ravi explained. The researchers looked at data from people with moderate to severe arthritis who were living in the community. All were over age 55, and arthritis was confirmed with X-rays. The study began in 1996, and those in the study were followed until their death or 2011. To address the concern that people having surgery might be healthier than those opting not to have surgery, Ravi and his colleagues matched people who had surgery to those who didn't by age, gender and other health conditions. They also eliminated anyone who had surgery within the first three years of the study. The final analysis contained 162 matched pairs. People who had surgery lowered their odds of a serious heart event or death by 37 percent, the results indicated. Ravi said the most likely reason for the decline in risk was the ability to be more physically active. He said there are other theories, such as that arthritis may increase inflammation, which increases heart attack risk, and that by replacing the joint, inflammation may be reduced. Another possibility is that pain medications may increase the risk of heart problems, or that pain and the stress effects of pain may increase the risk of heart problems. Ravi said it may be that all of the above factors play some role, but the researchers suspect that increased mobility is likely the one that has the most impact on heart risk. Another expert called the study "very encouraging." 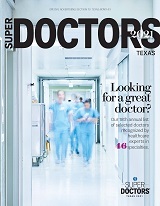 "Orthopedic surgeons are often used to taking care of healthier populations, and they may be reticent to do surgery on someone with heart disease," said cardiologist Dr. John Erwin III, an associate professor and vice chair of the department of internal medicine at Baylor Scott & White Healthcare in Temple, Texas. "While obviously there are risks to surgery, even previous heart patients can go on to do well after joint replacement surgery, and their quality of life improves," Erwin said. Erwin agreed that the ability to move more likely made the biggest difference in heart risk. In addition to the physical benefits, he said getting their independence back also makes a big difference in patients' depression symptoms, which can also affect heart risk. There are risks to joint replacement surgery. These include damage to the tissues and nerves, infections, the need for reoperation, blood clots and even death, according to study author Ravi. "The benefits of surgery need to be weighed carefully against the risk. If you're fairly unhealthy, surgery could be a problem," he said. And, people need to know that the recovery time is long. "Most studies show that people start feeling a lot of benefit by six months, though that's variable. People can usually return to activities in six months to a year," Ravi said. For people with more severe arthritis, Ravi said that there aren't a lot of other options. Medical management with painkillers or injections can help with earlier stages of the disease, but not as much when arthritis is more advanced. He said if arthritis is interfering with your daily life, and keeping you from doing the things you want to do, you might want to talk with your doctor about surgery. Ravi and his colleagues are scheduled to present their findings Tuesday at the annual meeting of the American Academy of Orthopaedic Surgeons, held in New Orleans. Research presented at meetings should be viewed as preliminary until published in a peer-reviewed journal. Learn more about joint replacement surgery from the U.S. National Institutes of Health.